The Building and Construction Industry Security of Payment Act 1999 NSW as amended in March 2003, 2010 and 2014 provides both benefits and perils for contractors, sub contractors, consultants and suppliers servicing the Building Industry. The preparation of Payment Claims, Payment Schedules, Adjudication Applications and Adjudication Responses requires a detailed knowledge of the Act and close adherence to the express requirements of the Act for these submissions. As an accredited Adjudicator under the SOP Act HCL's Principal Consultant has first hand knowledge of an Adjudicator's requirements for submissions under the Act. HCL also offers an (initial) free telephone service advising existing and potential clients on matters involving the Act. 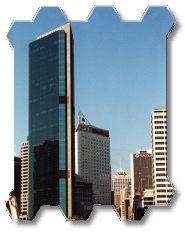 The "hands on" experience of HCL's Principal in the management of construction projects throughout Australia, Malaysia, Papua New Guinea, South East Asia and the Middle East means that the company is ideally placed to assist with the trouble shooting of ailing contracts, and the investigation, analysis, documentation and resolution of commercial contract disputes. Since 1986 the company has played an active role in the resolution of numerous engineering, building, mining and defence industry contract claims ranging in value from $50,000 to $125 million. The majority of these claims were settled by direct negotiation between the parties with only a small percentage proceeding to arbitration / litigation. HCL specialises in presenting commercial contract claims in a manner that clearly articulates Cause and Effect and closely works with its clients' legal advisers to establish legal entitlements. Researching a project's records to locate documentary evidence of events or circumstances leading to a commercial claim. Analysing documentary evidence, interviewing project personnel and, if required, taking statements from project personnel.